​ FREE Estimate - No Obligation! If the eyes are the windows to the soul, then would it not be the same in reverse for a home? Of course, a home may not have a soul. But it certainly has a heart. A heart that is filled with kids, a couple cuddled up on the couch, or a bachelor enjoying the peace and quiet after a long day of work... These are all moments that make a house a home, and the windows on that home are like a grand picture frame for all that happens inside, and out. 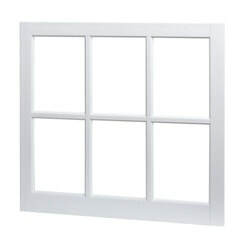 This is one of the reasons why Elkhart Windows specializes in so many window types, including Picture Windows. A picture window is classified as a large window, consisting of a single pane of glass, and is typically installed in a living room. The reason for this is because many want a full view of what is outside and beyond their most common sitting space. These can also be installed off the back of homes as well if perhaps, you have a bit of an acreage, or children who enjoy playing in the yard. It's a wonderful way to see all that is happening outside, from the comfort of the great indoors. Since picture windows are a bit of a larger install, Elkhart Windows will work with Lowes and Home Depot to ensure that all of the supplies will be readily available, no matter the project. Sometimes the weather determines if you need a new window, sometimes it's the age of a home, and other times it's because there is a new build taking place. Whatever the need, Elkhart Windows will have it all, ready and waiting for you. On top of keeping stock of all the materials you would need to install a picture window, they will also provide you with a picture window size chart, including a chart for one of the top name brands in the window making industry - Andersen Windows. Additionally, Elkhart Windows will go over the entire project with you, start to finish, and give you a price estimate for the work and materials that need to be done and used. Because, as with any project, surprises are never a good thing. Which is one of the reasons Elkhart Windows wants to help with your next project.Though there are many times when completing a project on your own can save time and money, when dealing with a picture window, there can be some complicated and delicate steps that need to be completed. It should also be noted that though most picture windows are, in fact, just that. A picture. A snapshot really, of what's happening in the world outside your home, right in that moment. There are some models that do open, to allow a glorious breeze to flood your home. If you do decide to go with a model such as this, Elkhart Windows experienced team will be able to draft a plan with you to see where the best place would be for such a window, and will also go over the total cost assessment with you. No matter the project at hand; from repair to a fresh installation, Elkhart Windows will treat you and your home with the same care as they treat theirs.